It’s September, beginning of a new school year! Stores are overflowing with notebooks and backpacks, doctors’ offices brimming with children getting their back to school vaccines, but what about the dentist office? After a summer filled with ice cream trucks and vacations where you can’t help but let them have just one more cookie; mouths are at risk for a slue of oral health problems. 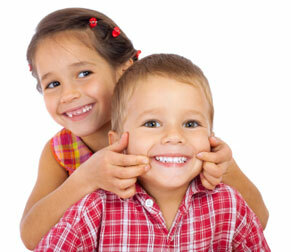 On average, 22 percent of children have cavities that go untreated. The out of pocket cost you may have to pay to get their mouths’ checked out is small compared to the bill you can run up if you don’t catch these problems soon. Every time you consume sugary foods or drinks, the germs in plaque make acids that destroy the tooth’s surface. As a parent there are things you can do to promote a lifetime of good oral health habits. Make sure kids are brushing their teeth at least twice a day. Also, try to limit the amounts of sugary beverages they consume. Milk and water are the best choices for growing bodies and the health of people any age. It’s also best to avoid treats such as hard candies, gummies, and caramels that stay in the mouth for extended periods of time. Promoting a diet full of foods like fruits, veggies, and yogurt not only helps you keep your mouth healthy but your body as well. Also, make sure your children are brushing with toothpaste containing fluoride, which also helps support healthy teeth function. It’s important to schedule visits to the dentist on a regular basis. A dentist can check for cavities and any other signs of sickness or poor health in teeth and gum. It’s all about prevention. Maintaining good oral health by daily brushing and flossing, eating foods low in sugar and carbohydrates, and visit and oral health care provider regularly will give your child the happy and healthy mouths that they will need for a lifetime to come. « While you’re on vacation – check out our mobile website.